I love my work as a fitness instructor! I have the opportunity to teach wonderful woman of all ages in my job at Total Woman Gym. Although I am beginning my senior years, being a dancer in my youth, I am very grateful to have retained most of my flexibility and core strength. About two years ago I challenged the women in my Yoga and Pilates classes to try and do a split. I heard a few giggles and groans when I went into my split for the class. I know they were saying to themselves, “Ha ha ha, you’re funny Linda; that’s not going to happen.” I’m happy to say, a couple of adventurous ladies did try it. I continued the challenge every other week or so (I didn’t want to scare away the new people). Now I have several ladies in my classes, from their 20’s to their 60’s, doing splits. Many are only a few inches away. They kept coming to class and they kept trying. Class by class, inch by inch, and then one day, they had it, a full split!! Together, my sister and I enjoy giving ‘infotainment’ talks on fitness and woman’s empowerment. Maria is also a fitness trainer and she is a lifestyle educator at Kaiser Permanente. We both have a passion for helping women be the best they can be in body. mind and spirit. During a recent wellness forum and fitness demo, Maria and I talked about “keeping our split.” I have to say, when we simultaneously demonstrated our splits for the women, they were surprised and really perked up! In addition to speaking on exercise, gratitude and positive thinking are key talking points for us as well as the value of eating fresh whole foods. 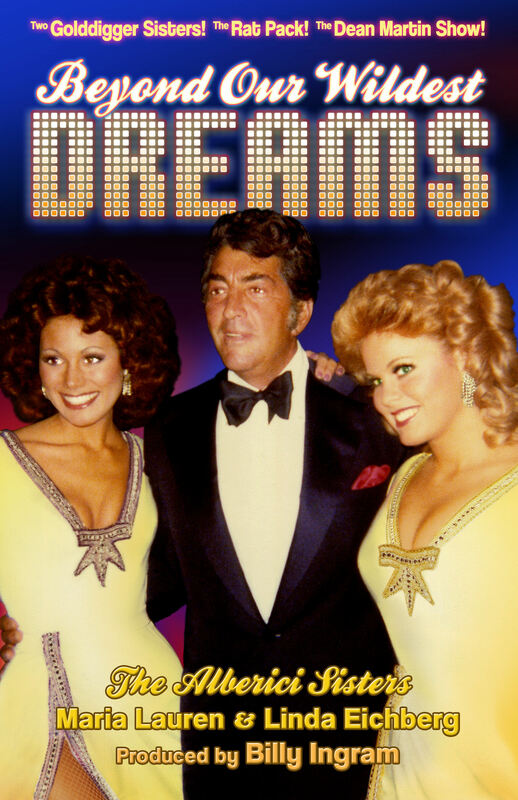 Colleen, Maria and I met up again last month at a national reunion of the Dean Martin Show. We were all singers and dancers on that show in the “Golddiggers” group. So many of the cast and crew showed up for the reunion. It was a blast! Some of Dean’s celebrity guest stars from the television show also made an appearance at the event. 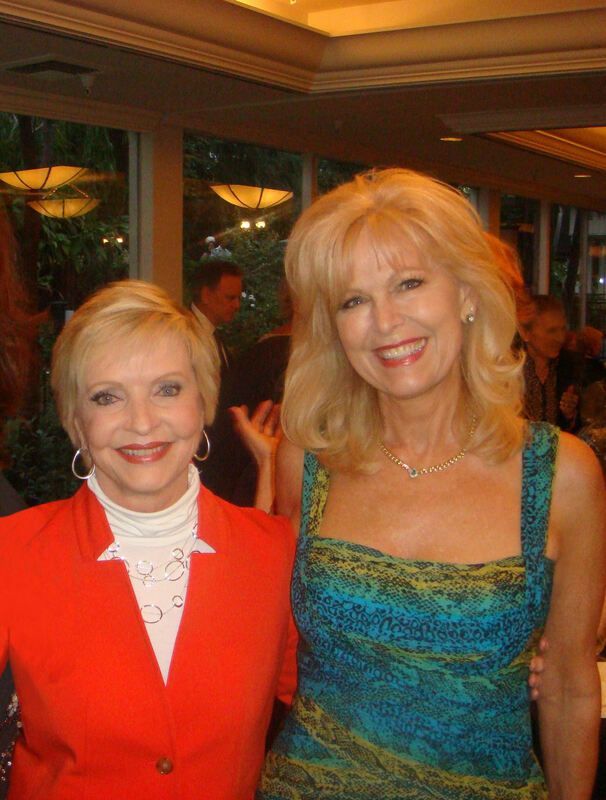 I had the pleasure of sharing some TV memories with Florence Henderson. You might remember her best as the mom from The Brady Bunch TV series. She has a lovely spirit. I enjoyed talking with her. 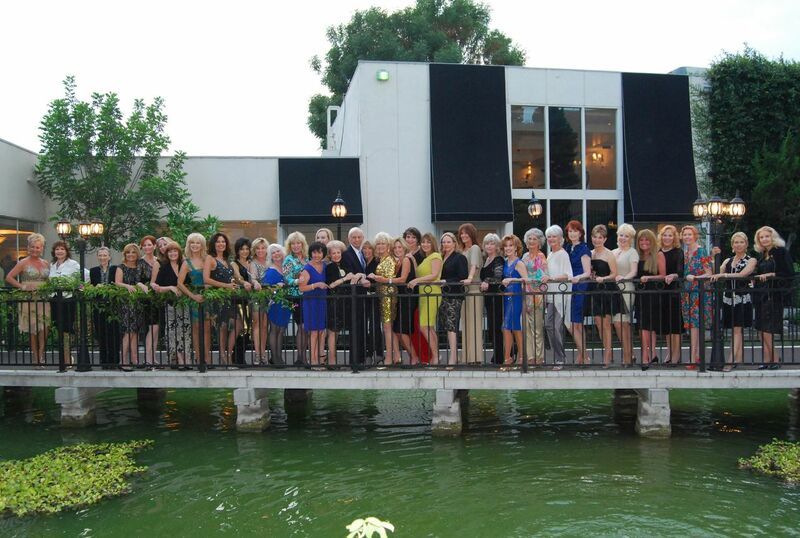 This occasion brought together all the different generations of Dean Martin’s Golddiggers groups. It was great to reconnect with the ladies I performed with for so many years and have the opportunity to meet other woman who shared the “Golddiggers” name. The highlight of the “Gold Event” was when we all came together for some singing and dancing! I have great appreciation for everyone who put this reunion together. There is something to be said for being with and working with friends who have known you for so long and know the good and the not so good about you. True love to be sure! Working on the Dean Martin Show and touring with the Rat Pack, was an amazing time in our lives. Check out our book, BEYOND OUR WILDEST DREAMS. It’s a fun read that will transport you back to that glamorous time! BEYOND OUR WILDEST DREAMS by The Alberici Sisters, is available at Amazon.com and BarnesNoble.com.